The SC Induction Power Source is equipped with a built-in temperature controller. 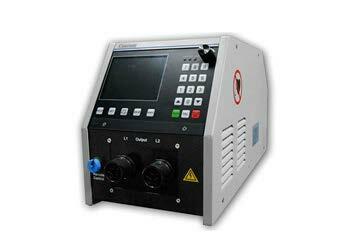 The controller provides for Manual Programming or temperature Based Programming. Manual programming provides for setting a power level and a time duration. This is beneficial in preheat applications where a part is heated to temperature and the heating device removed. 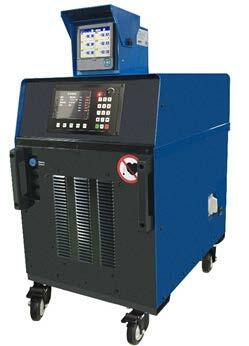 The control thermocouples are read by the controller which regulate the heat rise based on set thermocouple. 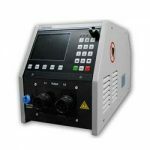 The SC series induction heating system is designed for preheating, Annealing and post weld heat treatment up to 788°C. In general, shorter cables are used for smaller diameter pipe and are easier to handle and set-up. 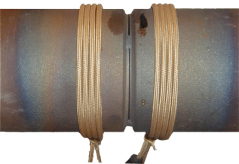 Longer cables are used for larger diameter pipe.